Skylark Blog: What should you tell your child about your Evil Ex? What should you tell your child about your Evil Ex? My oldest daughter and I have found a TV show that we both can agree on: Disney's Phineas and Ferb (new episodes Fridays on Disney Channel, and available on Netflix Instant Watch). The basic plot of the show is that two boys, Phineas and Ferb, create an unbelievable invention in each episode and have an adventure, while their older sister, Candace, tries to catch them in the act of doing something dangerous. There is a side plot in most episodes involving their pet platypus, Perry, who also happens to be a secret agent foiling the plot of Dr. Doofenshmirtz, an inept evil scientist. The reason the show also appeals to adults is that the characters are well rounded and experience everyday situations in addition to the incredible plot adventures. In the episode I Scream, You Scream, for instance, we find out that Dr. Doofenshmirtz has an ex-wife, Charlene Doofenshmirtz, and a daughter, Vanessa Doofenshmirtz. Vanessa is a teenager who doesn't enjoy spending time with her father and would rather be with her friends (shockingly typical). In this episode she tries to explain to her mother that her father is evil and is always trying evil schemes while she is with him (admittedly a little less typical). Vanessa is in fact right and Dr. Doofenshmirtz, although inept, is evil. However, Charlene, Vanessa's mother, assures her daughter that her father is not evil. This episode proceeds with an attempt by Vanessa to get her father busted for being evil, while at the same time Candace is trying to bust Phineas and Ferb for their latest adventure. Of course, they both fail. But when Vanessa fails to have her mom catch her dad in one of his evil schemes, I was left wondering whether her mom already knew. 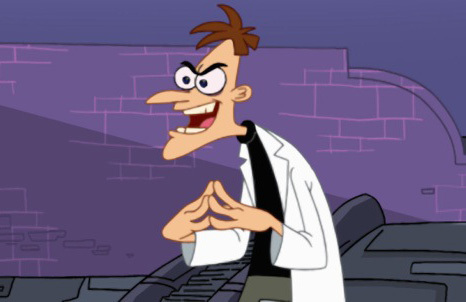 If Charlene and Dr. Doofenshmirtz were married surely she would be aware of his evil schemes. In fact those schemes, and all the money he must spend on them, were probably the basis for their divorce. Why would she pretend not to know and assure her daughter that her father wasn't evil? As a divorce practitioner, I have experience working with couples trying to co-parent and have heard all kinds of stories about "evil exes". However, in every case involving children I always give the same advice regarding what to tell the children. Tell them simply that both of their parents love them, and they will both continue to be involved in their lives. I tell my clients to "Say only nice things about your ex to your children, even when you don't believe them to be true." Children's identities are tied to both of their parents. As part of growing up we eventually learn of our parent's fallibility and mortality, and those are difficult lessons because they force us to face those same traits in ourselves. 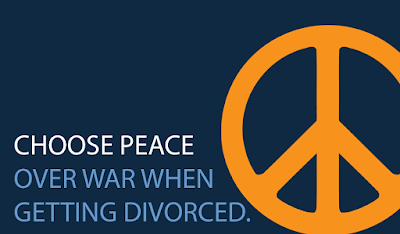 For children of divorcing and divorced parents, they are forced to learn that their parents (and therefore themselves) can fail at relationships. This is why children grieve the marriage just as adults do, even though they grieve it in different ways. If you also insult or tear down that child's other parent, you are forcing them to experience even greater loss and doubt during an already difficult time. Any action that damages a child's opinion about their parent, also damages that child's own self-esteem, especially at a time when they are already vulnerable to doubt and confusion about their identity. Wanting your children to be healthy and self-confident, therefore, requires building their confidence in both you and your ex. In the episode I described above, Charlene could have agreed with Vanessa that her father was evil, or at the very least quite weird. In fact, it probably would have been more honest. But instead she tells Vanessa "your father isn't evil, we just didn't get along. We wanted different things." She doesn't explain further, she simply insists that Vanessa still spend the weekend with her father. One of the things I enjoy about Phineas and Ferb is how well the show models behavior for children. Phineas is always upbeat, creative, inventive and whenever someone is rude to him he responds with kindness. I guess I shouldn't be surprised to see the show model such great behavior for adults as well. Many divorcing parents could learn from Charlene Doofenshmirtz's example. Where do the candidates stand on DOMA?